Eagle currently has a career opportunity for a Bilingual Change Manager and we are looking to speak to qualified candidates with the skills and experience outlined below. This position is a 12-month contract located in Fredericton, NB to start in April. Proactive and self-motivated, ability to work in a fast-paced environment. 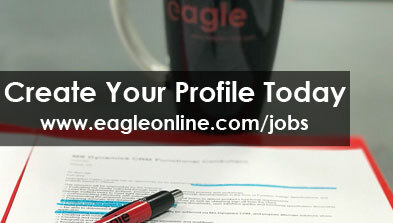 Eagle Professional Resources Inc. is one of Canada’s largest staffing agencies and we have job openings suitable for independent contractors, temporary workers, and those looking for a full-time career position. 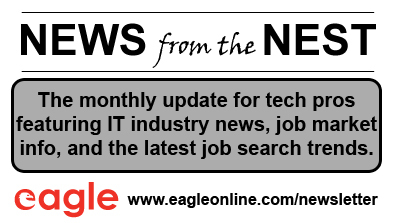 If you specialize in Information Technology (IT), Finance & Accounting or Interim Executive and Management Consulting, we’d love to hear from you. Whether you’re looking for a new opportunity or simply exploring future career or contract opportunities, we encourage you to create a profile and upload your resume today. When we find an opportunity that matches your skillset, we’ll contact you and, if you’re interested, we’ll forward your resume to the client right away. Regularly keeping your information up-to-date will ensure that your profile is current making it easier for our Recruiters to match your profile to available opportunities.